WARNING: WORKING KNOWLEDGE OF BENGALI ESSENTIAL. NON-BONGS, PLEASE ACCEPT THE HYPOTHESIS AND WAIT FOR MY NEXT POST ON HRISHIKESH MUKHERJEE! A few months back, I wrote a post on my favourite music videos. The songs were mostly Indipop and I consciously tried to avoid remixes (though one crept in). In the intervening period, I ended up listening to a lot of Bengali music - right from the 1950s till recent times. My aunt and cousins kept me reasonably up-to-date on the latest albums and some of the better films. I visited Calcutta more frequently than I would have liked. I spent more time on YouTube than what my wife would have liked. Net result, I managed to refresh most of my memories and felt a lot better. Revisiting my favourite videos list (most of which have music I just adore), I realised how uni-dimensional the topics are. Except for Mile sur, which was a patriotic number and Bulla ki jaana, which was a philo-Sufi-cal (ha ha!) number, ALL the remaining songs were in the broad romantic domain. There is a lot of experimentation around musical style, orchestration and voice but essentially, non-film Hindi music (even without the limitations of having to adhere to a film's structure) is predominantly - dare I say, exclusively - romantic. On the other hand, Bengali music of recent times (by which I mean about two decades - from around the time I started college) has explored such a wealth of topics that it takes your breath away. Musicians and bands - almost without exception - have taken up issues, poked fun, got naughty, paid tributes, evoked nostalgia and yes, written love songs as well. And in the process, they made Bengali music far richer. For a very long time, Bengali music was totally dependent on one man's output. While that output still remains the touchstone of versatility and style, it is quite heartening to see that people have dared to go beyond. Way beyond. So while Hindi music today is still drowning in the blue lakes of the lover's eyes or drinking the ambrosia of her lips, Bengali music is thinking about tomorrow. To prove my point, I have taken five of the most popular artistes / bands and a few of their songs. The list below is neither exhaustive nor representative. They are a random selection of songs around a variety of themes (and ones which I could dig out videos for). With that disclaimer, let me step back and present the collection. I never quite liked Nachiketa when he was at his peak, probably because he had to play second fiddle to more talented contemporaries. One complaint against him was that he was too changra (loosely, immature!) but the hummability of his songs were never in doubt. And after so many years, neither is his durability. But to present how different even love songs can be, I choose three out-and-out romantic songs from his list. His first major hit (probably from his first album) was a song called Neelanjana (ignore the silly slideshow) which was dedicated to his first love - a schoolgirl in red ribbons, white socks and blue skirt. The romance is understated and details of the various meeting scenes are very well-etched. The second is a song called Tumi ashbey bolei (Because you'll come), which would have been yet another love song if not for the two lines - Tumi ashbey bolei amar dwidhara uttor khnuje paeni / Tumi ashbey bolei deshta ekhono Gujarat hoye jaeni. The third one is not merely a song but a wonderful story. It is called Pacemaker and about a 36-year old man in love with a 19-year old college girl. I think it would make a very cool film, if it hasn't been made already. This is a band - one of the many who came up in a bumper crop - I have a soft corner for because the individual members were growing, jamming, smoking in & around my college when I was there. On crazy beauty tips - Twaker jotno nin (Take care of your skin). On modern love stories - Geetgovindam (which opens with Tomakey dekhabo Niagra, tomakey shekhabo Viagra - I will show you Niagra, I will teach you Viagra). On things we fear - Juju. And on disciplinarian English-medium schools (which maybe a prescient take on La Martiniere) - Bathroom. A group which formed in the mid-1970s, disbanded and was then revived by some of its original and some new members in the 1990s, deserves a post of its own. But why is it so familiar? Because Mahesh Bhatt is better at marketing than Gautam Chatterjee. Anjan Dutta's best known number is a love song - in which the girl never speaks. She sobs on the phone when her lover asks if she will marry him. The only explanation of this sob was that she had reneged on her promise and married a better-settled alternative. When I heard it now, I wondered why? Because she may well have cried out of relief, now that her lover has a job! But then, happy endings are so un-cool! His other songs include Haripada - about aliens. Darjeeling - on hill station nostalgia. Calcium - on the pressures of growing up, predating Taare Zameen Par by 15 years. And yes, a love story - about the Bengali boy who likes Elvis Presley and loves an Anglo-Indian girl, Mary Ann. As I had written before, Suman will be the last named in this list since he was the pioneer of this movement that brought a new variety to Bengali music. An extremely political singer, Suman is now a Trinamool Congress MP (though he threatens to resign every now and then). And without getting into his biggest hit, I can pick the time he did a fantastic reprise of Blowin' in the wind. When he evoked nostalgia for all the first things we did in our beloved city. Sometimes he based his songs on true stories of government apathy (punctuated with commentary). And almost always, he touched a chord. Like this song, Haal chherona bondhu (Don't give up, my friend), which I did not like when I heard it in college. But now - nearing 40 - I find a resonance with the lines which go, "Amaro toh boyosh holo, raat biretey kashi / Kashir domok thamley kintu bnachtey bhalobashi." To end, I will put forward a song which is a wonderful mix of Bengali and Hindi - composed by Neel Dutt, Anjan Dutt's son and performed by Shantanu Mukherjee. Sujan majhi re is yet another wonderful addition to the long list of boat songs composed by those two geniuses with Bong connections. And yes, it is from a film called The Bong Connection. Brother and sisters in Hindi cinema should be easiest to write about since they appeared in every second film (till the 1990s) and a sister's marriage or her brutal murder was the chief reason for docile, village bumpkins to become vigilantes. Incidentally, it is always bhai ki padhaai and behen ki shaadi. Never the other way round! But in order to keep my Raksha Bandhan post to acceptable limits, I have decided that I will write only about siblings who remain alive till the end of the movie (or nearly, till the end). No sacrificial deaths allowed midway. I have also cheated a couple of times but then its my rule and my blog. Hmmph! The most high-powered brother-sister duo in Bollywood has to be the Aishwarya Rai - Shahrukh Khan pairing in Josh. As Max and Shelley leading the Eagle gang in Goa, Ash and SRK were not only siblings but supposedly twins as well! Despite putting up a decent show as siblings with typical over-protectiveness, rivalry and affection in equal measure, they could not save the film from sinking and thus, putting an end to casting to top stars as siblings. Talking of top stars as siblings, Andhaa Kanoon paired Hema Malini as Rajinikanth's elder sister - putting a distaff twist to the usual Bolly formula of a righteous outlaw and his dutiful blood-relative. However, what son Amitabh did to the father in Aakhri Raasta and Shashi Kapoor did to his brother Amitabh in Deewaar was not replicated in this film. Hema Malini did everything to catch her brother killing their father's killer (including wearing a havaldar's cap at a jaunty angle) but the now-red-eyed-now-white-eyed Rajini escaped to the accompaniment of tossed cigarettes and flaring nostrils. All people remember of Trishul are the Three Faces of Man - Sanjeev Kumar, Amitabh Bachchan and Shashi Kapoor - and all they speculate is if the rivalry between two construction tycoons is inspired by real life. What they forget is that Poonam Dhillon - fresh from the success of Noorie - was Shashi Kapoor's sister (and Amitabh's step-sister). She was the archetypal spoilt kid sister - who sang inane songs (Gapoochi gapoochi gum gum), drove Merc convertibles recklessly and fell in love with short men in yellow pullovers! Her marriage - or whatever was left of it - ultimately formed the climax of the film. I have written some 3000 words on the film and I will not dwell more on it. All those who are jumping up to point out that Smita Patil died midway through Dance Dance, I would request them to show me a film that has a more rocking bro-sis dance sequence and I will replace it. Okay, might as well take the bull by the horns, bite the bullet and slip in the second deviation from my rule. In Fiza, Hrithik Roshan died. BUT, in the last scene. And not in a sacrifical my-sister-will-avenge-my-rapists kind of way. The film had to be included because a sister's quest for a missing brother is an unusual enough storyline. Add to that the complexities of a Muslim youth's alienation post the Bombay riots of 1993, his allegiance to terror networks and Sushmita Sen's item song while his sister is looking for him - you have Fiza (which was spoofed by Cyrus Broacha as Pizza)! While we are on the tragic track, I might as well slip in Shahenshah - where Amitabh Bachchan sang silly songs to annoy his sister (Supriya Pathak). Incidentally, the song (which I cannot locate) was sort of a male-version of this hit number from Rekha's Khubsoorat. In Shahenshah, Vijayendra played an important (though minuscule, but this was an Amitabh film) piece before he was bumped off by Jay Kay's henchmen. Apart from being Supriya's love interest, he was the 'investigative reporter' (who solved the crime and hid the clues in railway station lockers so the hero could come in to recover it). In this case, he helpfully died from a knife which had his blood and Jay Kay's (Amrish Puri, if you didn't guess!) fingerprint. Talk about brother-in-lawly love! To inject a vial of humour in the usual despondency of unmarried sisters, allow me to bring in 3 Idiots! All the cliches of bimaar baap, lachaar maa aur kunwari behen were brought together in a triveni sangam of spoofs as Raju Rastogi's unwed sister popped up every now and then, threatening to be married off to Farhan Qureishi. What could have been an insignificant track in the film turned out to be as laugh-worthy as any of the others. IMDb helpfully informs us that Ms Rastogi's role was played by one Ms Chaitali Bose. There is a general custom in India of tying a rakhi to neighbourhood goons, to ward their clumsy (and potentially dangerous) romantic advances. In fact - right now - we have a Lafangey Parindey contest running on radio channels in which Deepika Padukone is threatening to call all the losers bhaiyya! Basically, brothers of bombshells have thankless jobs. And leading the list are Anil Kapoor and Nana Patekar, who had the unenviable task of shepherding Katrina Kaif in Welcome. Apart from running the underworld and warding off international dons called RDX (Feroze Khan, quite naturally), that is. In recent times, one of the funniest - and most natural - sibling relationships has been portrayed by Genelia D'Souza and Prateik Babbar in Jaane Tu Ya Jaane Na. There were no maudlin moments, no promises to protect honours and no rakhis either. Instead, there was the beautiful wistfulness of a brother who saw his sister make other friends and a sister's quiet pride at her brother's talent. Genelia: Main thodi der ke liye baith jayoon? Prateik: Tera sofa, tera bum - baith. Which brings us to the film from the title. The one with The Brother-Sister Song, even though the filmi brother was old enough to be the sister's father in real life! And the story was the mirror image of Fiza as the brother went looking for his sister, Jasbir, in the opium dens of hippy-infested Kathmandu. In between, there were at least four more hit songs (including the grown-up version of PKTK), estranged parents, a stolen deity, heroine Mumtaz and a girl called Janice who urged us to take a puff... Hare Rama Hare Krishna. Have a great Rakhi, everyone! 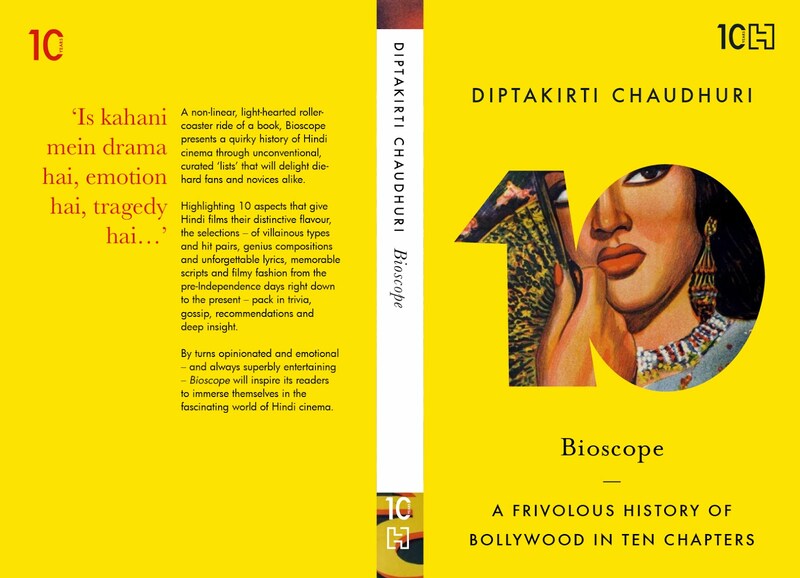 The words ‘heroine-oriented’ and ‘issue-based’ to describe films are often used interchangeably in Bollywood. And both often mean box-office disaster. Sometimes, the heroine-orientation is the result of the director’s fixation with a leading lady – resulting into footage disproportionate of talent (already described in some detail, here). In several films of the late 1980s and early 1990s, she not only took on the mantle of being the Chief Crowd-Puller but converted many of them into one-woman shows as well. No better example of that than Mr India where all people remember are Mogambo and Miss Hawa Hawaii! And Chaalbaaz is probably the best example of her stardom – in which she had two top heroes doing all the things they normally do very well but nobody remembers any of them. What did Chaalbaaz have? For starters, no originality. It rehashed the ancient Bollywood formula of long-lost twins – one of whom grow up to be a wimp and the other a firecracker. Dilip Kumar did the male version in Ram aur Shyam. Subsequently, Hema Malini did the distaff version – Seeta aur Geeta. And while Anil Kapoor was dreamily going about Kishen Kanhaiya, Sridevi exploded Chaalbaaz. You have to see the film how original one can get within the strait-jacketed boundaries of the story. Every single set-piece was borrowed from Seeta aur Geeta and yet, each one of them had a fresh gag! It also had a maverick director called Pankaj Parashar – who directed hit detective serials with evergreen sleuths (Karamchand), a completely crazy debut vehicle for Archana Puran Singh AND Cyrus Broacha (Jalwa), a medieval fantasy modeled on Robin Hood AND Dharam Veer (Rajkumar) and the funniest film no one watched (Peechha Karo). Before he degenerated into making existentialist crap like Banaras, Pankaj Parashar made seriously demented stuff. And Chaalbaaz was made like he was on an acid trip! I was quite surprised – and disappointed – that nobody mentioned Peechha Karo in Ravi Baswani’s obituaries because he and Satish Shah nearly rivaled the Jaane Bhi Do Yaaron craziness in that film! Seriously – no kidding. Maybe, the believers would want me to say that Rajinikanth had Chaalbaaz but probably, this is the one film where the Goddess overshadowed the God. 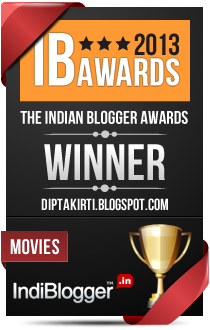 As Jaggu the alcoholic taxi-driver with a heart-of-gold (is there any other kind of heart in Bollywood? ), he was the perfect foil to Sridevi’s schizophrenic act. His drinking sessions with Sunny Deol, the mandatory fight sequence in his basti and even his Tamil-accented advice to Sridevi (“Jaldi se koi achha ladka dhoondke shaadi kar le. Nahin toh kisi kothe mein tabla bajana padega. Ya phir kisi baniye ka rakhail banke reh jayegi!”) were all priceless. There was the Trio of Villainy. Anupam Kher as the evil Mamaji, Rohini Hattangadi as Mamaji’s Moll and Shakti Kapoor as Mamaji’s Moll-pani. Sorry, Malpani. Actually, Shakti Kapoor was Batuknath Lalanprasad Malpani (abbreviated as BaLMa)! Shakti Kapoor always excelled at being lecherous slimes. Anupam Kher – by this time – could have sleepwalked through a role like this but managed to become a buck-toothed villain for some unknown reason. And Rohini Hattangadi went ballistic as Amba, who started off with being excessively made up by Sridevi and ended up being thrashed by her. 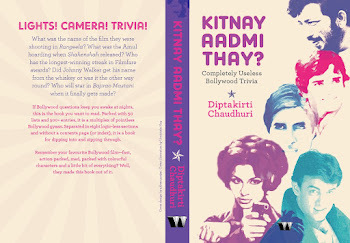 There was also the illogicality of the name, which is – now – an extinct Bollywood tradition. Nowadays, a film set in a village which gets round-the-clock media coverage is called Peepli Live. A film about a fashionable Delhi girl is eponymously called Aisha. In the good old days, they would have been called Allah ke Bande and Gal Mitthi Mitthi Bol respectively. 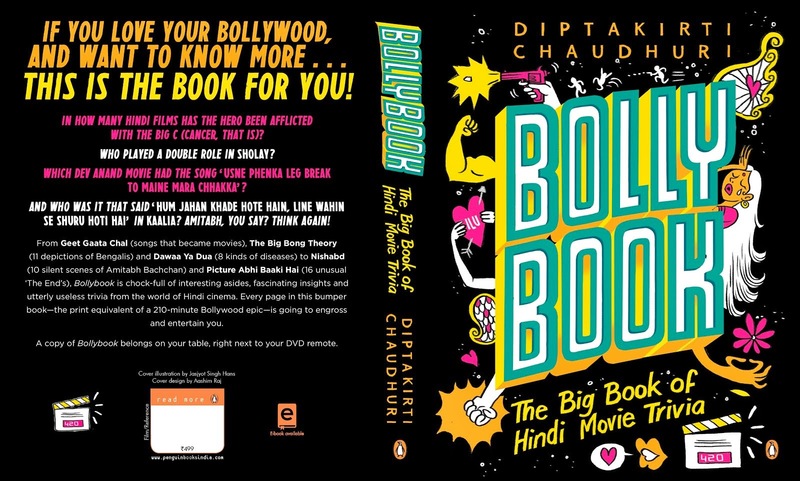 Because films have been named after a song (Yaadon ki Baaraat), a dialogue (Deewaar), an abstract concept somewhat relevant to the film (Insaaf ka Tarazu) or without any connection whatsoever (Chaalbaaz). You could argue that Sridevi is the Chaalbaaz but why the film was not called Anju aur Manju, Patakha or something more flattering to her – nobody knows! And even better, nobody cares!! And obviously, there was Sridevi. From her super-nyaka assertion of being a teetotaler (“Main madira nahin peeti, ji”) to the ballsy whipping of Anupam Kher, from the drug-induced twitches to the jhatkas of Na jaane kahan se aayi hain, from the sneering pouts to the slithering shyness – Sridevi was total paisa vasool. In fact, this is one of those movies where you want to tip the usher at the end because you feel almost guilty that so much enjoyment was had only for twenty-five rupees. Quirkily enough, I was reminded of Chaalbaaz when I came across a tweet from @mojorojo – “Dear North-South fighters. I suggest a deathmatch. Sunny Deol versus Rajnikanth. Whoever wins, we lose.” And I wondered – actually, Sridevi won. UPDATED TO ADD: A YouTube link with a medley of scenes with both the Sridevis and Rajinikanth. And another one! Enssoi. What can I tell you about Sholay that you don't already know? On the 35th anniversary of India's favourite experience, there is precious little one can say about it that has not been said already. But I will do it nevertheless. More so, because it is an attempt to bring together a few of my favourite pieces on the film. This post is more like a link-dump for me to come back to. Everybody always talks to Javed Akhtar - and ends up giving credit as well - for the films that were written along with Salim Khan. For a change, Open magazine reaches out to the man before the hyphen and asks him about the Greatest Story Ever Written. And we are reminded of the scene in Andaz Apna Apna where Salman Khan's character says, "Maine Sholay pachchees baar dekha hain..." and Aamir Khan's character retorts, "Haan, tere baap ne jo likkha hain..."
It is said that Amitabh Bachchan badly wanted to play Gabbar Singh when he heard the script. His ambition was fulfilled nearly thirty years later. And the entire country wished that it hadn't! Ramgopal Verma managed to create the perfect Anti-Sholay with a film that has gone on to become the benchmark of Bad Films just as the original was a millstone around Ramesh Sippy's neck. But Ramu being Ramu, manages to pontificate on how his failure is better than many people's successes. 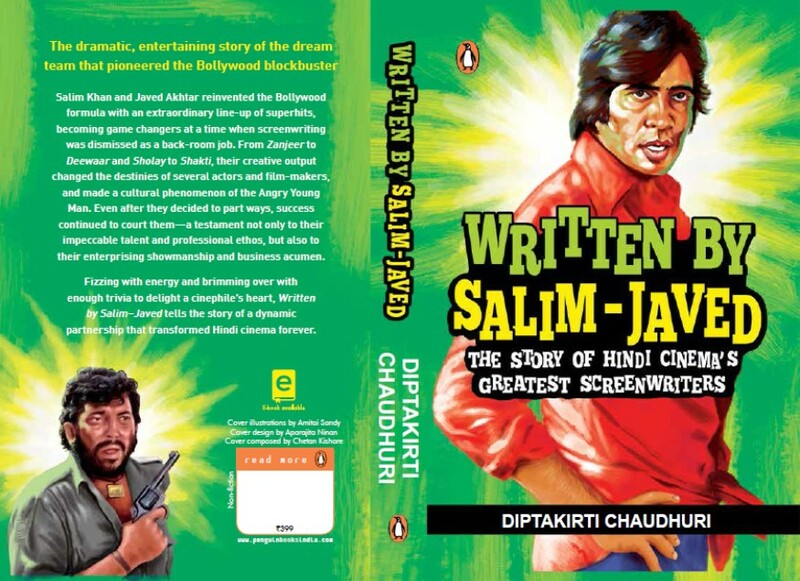 And writes on how Sholay will never Aage. The village 40 kilometers outside of Bangalore was made so famous by the film that it became the focus of media attention (as much possible without OB vans and portable cameras) and tourist visits. This piece is a mix of both as a fan visits Ramgarh - and the ending is a killer. A neat quiz from the people who have - well - a passion for cinema. The quality of questions is a bit uneven but hey, you get perfection only once. Strangely, it has no reference to FACT manure. And to end, I will slyly add two of my old posts. One - about the endless spoofs of the film.